Description: Obsidian highlights a Grand profile featuring a teardrop-shaped Ambra Siena Idalight diffuser which is enhanced with a smooth rugged ring in a warm Rusty Nail finish. Curved panels of stunning Idalight are graced with a decorative finial on the bottom. 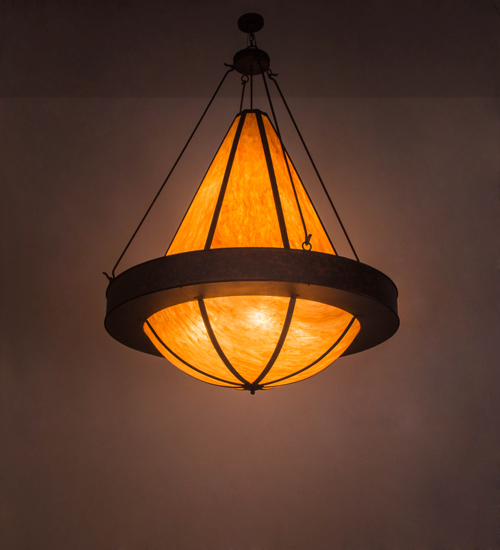 Handcrafted in the USA, this fixture is available in custom designs, colors and sizes as well. Dimmable energy efficient lamping options such as LED are available. This pendant is UL and cUL listed for damp and dry locations.